Professor Chuck Bunting, Jerry Meyerhoff, Professor Wen-Yan Yin, and Jerry Ramie will begin their two-year terms as the newest Distinguished Lecturers (DLs) of the IEEE EMC Society on 1 January 2011. They replace Professor Ji Chen, Dr. Sergiu Radu, and Professor Joungho Kim whose terms expired at the end of 2010 after many successful presentations to local chapters around the globe. Our other three DLs, Professor Giulio Antonini, Mark Steffka and Professor Omar Ramahi continue their terms through December of 2011. Before introducing the newest DLs, I want to acknowledge the contributions of Ji, Sergiu and Joungho over the past two years. During their respective terms, they volunteered to spend many days away from home, family, familiar food, and familiar people. They traveled by airplane, by car, and by bus in order to give presentations in the Unites States, the Americas, Asia and Europe. Our Society’s local chapter meetings have benefited from the in-person contributions of these bright and learned volunteers. For those of you who have attended one of their presentations, I am sure you know what a very fun and educational experience these folks provide. Please join me in thanking our retiring DLs, and welcoming our new expert speakers. If you haven’t seen a DL at your chapter meeting, you are really missing one of the most popular benefits that our Society offers. I am certain that this year’s new speakers will continue the DL tradition of offering excellent technical education, advice, and entertainment. Chapter Chairs can request any of the Distinguished Lecturer’s to come to their local chapter meeting. Once the schedule details are agreed to by both parties, the EMC Society pays for the travel costs, so the local chapter gets expert speakers, on a wide range of topics, at no cost to the local chapter! Following are our new Distinguished Lecturers for 2011–2012. Please feel free to contact them directly by phone or email to discuss hosting them at your next chapter meeting, university class, or other special event. You can find contact information for each speaker under the Distinguished Lecturer section of the EMC Society web site (www.emcs.org). Chuck Bunting is a Professor at the Oklahoma State University in Stillwater, OK. He is well known as an expert in computational EMC and Reverberation Chambers and has many publications in the area of EMC. This talk provides an overview to many of the commonly used numerical EMC modeling techniques. It is intended to provide EMC engineers who are interested in learning the basics of these modeling techniques a fundamental understanding of all the different techniques, with plenty of applications to EMC problems. Why Use Reverberation Chambers for Radiated Emissions? Unlike a semi-anechoic chamber, a reverberation chamber provides a test electromagnetic environment, as a superposition of plane waves with random phase, resulting from repeated reflections from conducting surfaces intentionally formed to create a complex environment. The statistical isotropy, random polarization, and uniform electromagnetic environment of a reverberation chamber permit a robust, all aspect angle test without the requirement for rotation or translation of the equipment-under-test. This talk will discuss the potential benefits of EMC testing in a reverberation chamber. To understand the application of reverberation chambers, EMC engineers must delve into the scary world of statistics and applied random variables. This talk provides a discussion of the statistical electromagnetic environment in a reverberation chamber and the method by which the equipment under test can be tested to a given peak (or average) component (or total) field (or power) level with a definable uncertainty. Jerry Meyerhoff is currently the Principal of JDM LABS LLC, a consultancy assisting clients to optimize designs for Electromagnetic Compatibility (EMC). Previously Jerry was a Distinguished Member of the Technical Staff of Continental Automotive Systems, Deer Park, Illinois as a result of the acquisition of the former Motorola Automotive Group in 2006. 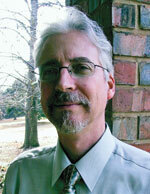 He acted as a group-wide consultant in EMC design, serving multiple projects technologies and customers. What’s the Resonant Frequency of a Truck? When an automotive electronic control module shows narrowband susceptibility, what is the cause and what can be done about it? The truck cab structure is analyzed using NEC-MoM on a simplified wireframe model. Why do many different electronic control modules show excessive emissions in the same repeatable bands of frequencies in a given CISPR 25 setup? The problem is analyzed in a modern 3D CAE Electromagnetic Solver. Model simplification and fitting to the tool’s methodology is discussed. Correlation to measured data is presented. Why Does My Module Fail EMC? Case studies drawn from multiple designs are used to demonstrate the underlying EMC physics for causes and cures. Solutions are generalized for applicability to multiple future designs. 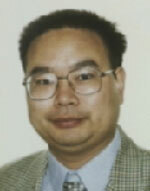 Professor Wen-Yan Yin is currently a “Qiu Shi” Chair Professor at Zhejiang University, and Adjunct Professor at Shanghai Jiao Tong University of China. He is well known for his work in electromagnetic compatibility and electromagnetic nanoelectronics as well as computational multiphysics and their applications. We are now facing considerable concerns on intentional and non-intentional electromagnetic interferences (IEMI & EMI) issues related to various communication platforms, which can cause serious degradation in reliability of devices, circuits and systems. In this talk, multiphysics-based time–domain finite element method will be introduced and implemented for fast capturing transient electro-thermo-mechanical responses of various on-chip interconnects, devices and circuits under the impact of an (I)EMI signal, such as double-exponential high-power EMP and electrostatic discharge (ESD), etc. Recently, significant progress has been achieved in the development of carbon nanotube (CNT)-based interconnects and CNT field effect transistors (CNTFET). In order to thoroughly understand signal transmission characteristics of single-, double-, and multi-walled carbon nanotube (SWCNT & DWCNT& MWCNT) transmission lines and cables, we have to take quantum effects into account appropriately. In this talk, multiphysics solutions to various SWCNT, DWCNT, and MWCNT transmission lines and active devices will be addressed, with both frequency- and temperature- dependent quantum effects treated in detail. 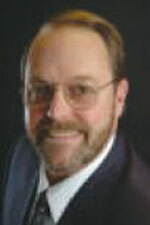 Jerry Ramie is a 30-year veteran of regulatory compliance and Electromagnetic Compatibility (EMC). 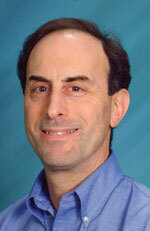 He has been writing and teaching about power and EMC since 2001 and is well known for his work on Smart Grid. This talk covers an introduction to EMC with emphasis on power installations, then walks through each of the IEC 60255 tests as well as IEEE-C37.90.1 and NEMA ICS-1 showering arc testing. The EMC Society’s Distinguished Lecturer Program provides speakers for Society chapter meetings and similar functions. Each Distinguished Lecturer (DL) can offer one of several pre-prepared presentations on various EMC topics. DLs are appointed by the EMC Society Board of Directors for a two-year term. In 2011, the EMC Society will have seven Distinguished Lecturers serving on alternating terms. Distinguished Lecturers may give up to six talks per year under the Program, which reimburses the DL for their approved traveling expenses up to a recommended limit of $1,000 per US engagement, or $1,250 for international engagements. To provide as many opportunities to as many members as possible, the Society encourages hosting chapters whenever possible to absorb some part of the speaker’s costs, such as by providing or paying for local transportation, meals, and lodging. For more information about the EMC Society’s Distinguished Lecturer Program, visit our web site at www.emcs.org/lectur.html. You can also contact Bruce Archambeault at 919-486-0120, or via email at bruce.arch@ieee.org. Please also note the Respected Speaker Bureau (RSB) which is comprised of past DLs and other notable speakers. Information on the RSB can be found on the DL web site. And, remember to take a look at the Video DL Program information. These DVDs can be used at chapter meetings. Information is available on www.emcs.org.